Please bear with me - these are more of my thought notes for some of the ideas that I will be talking about at reboot9. I promise not to go into this kind of detail and I will be talking also about related ideas that I will keep for the day. I need to play more and this is my sandbox. I am on quest - a quest to find the reality of a way of organizing people so that we can become the most that we can be. My ingoing thesis is that humans must have a way of organizing that is natural. After all acorns, whales, stars and winds do. My bet is that we "forgot" how to do this. Instead we became captured by an idea, a dogma, that we are not human but we are machines. My method has been to follow the example of science and to observe and look for patterns. In my prior post, I made the case that the Roman Legions offer us a good example of an emergent design for how humans can best be organized for complex work. For an observation to be rooted in science, it has to be replicable. So in this post I will look at 2 more high performance organizations and make the case that they share the same "design" as the Legion. I think that they show that this design is replicable and hence real. In my last post, tomorrow, I will talk about how I see this "forgotten" design re-emerging as we discover that social software is re-enabling it. This is a still from Master & Commander. It is a shot of the funeral of the men killed in the main action of the film. For me it says everything about a high performing human organization. It shows full humanity - none of this disengagement of our current ideal. It shows a powerful selection process for leadership. It shows the effect of a Trusted Space. If the Roman legions were the heart of Rome and its greatest expression of power, the Royal Navy at the time of the Napoleonic Wars held the same iconic role for England. For more than 200 years, this organization enabled a tiny nation to be dominant. The Royal Navy in this time was THE organization in the world of men. There was nothing else that can be compared to it. As I look more deeply into its structure, I see the same DNA as in the Legion. At the heart of the heart of the navy was a single class of ship that held within it both a Trusted Space and a process for producing the equivalent of the "Centurion" - The Active Personal Leader. It is this interaction between an intense social space "Trusted Space" and active personal leadership based on expressed expertise and talent that I feel is the essence of the high performance human organization. All this has to happen inside a series of containers that meet the social requirements of optimal human society - Magic Numbers. The British classic frigate was the key to the Royal Navy's greatness. This is the human scale container. In this container grew all the elements that lead to high human performance. Frigates were the primary development environment for command. This was the pinnacle testing ground for the Personal Leader. No great Captain in the line could avoid this step. It was also the ideal social container that could express the overall capability of a group - it is the cohort. The Frigate had two roles. The first was to provide the intelligence for the Line and secondly, it was to act independently and to impose the will of the Admiralty upon the world at large. In this role they were uniquely autonomous. There was no contact with head office and no one to help them except their own ingenuity. Instead of an interfering head office, commanders used a set of protocols. The Articles of War were the protocols that enabled a Captain to have a context for all decisions - the Articles of War represented what in legion would have been called Doctrine - the generally understood best way of doing things. If you acted inside their context, you were doing the right thing. If not, you could pay the price - sometimes your life. If you look at the link you will see how straightforward these principles were. Every member of the crew knew them off by heart. The Frigate was the "right size" for the optimal team. It fits the parameters of the legion exactly. 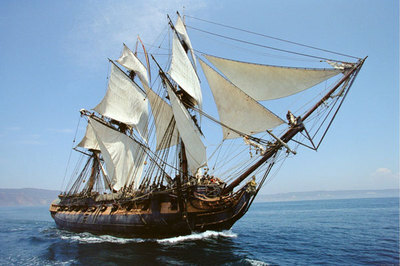 The British Frigate typically had less than 30 guns and a crew of between 200 and 300. Somewhere between a maniple and a cohort. Like a Cohort they included within this body all the skills that they would need to operate autonomously. They could fight, sail and rebuild their own craft. The ship's company were then broken down into stable smaller social/work units of people that you came to know better than any other. Like the Legion tent, you shared your whole lives with your close shipmates. Your shared them in groups small enough to make sense. You shared great risks with each other and grew to rely on the other. As you shared these risks, the bond deepened and shifted into love. The word I am using deliberately is "Love". Love is the nature of the bond that this environment delivers. Love not efficiency is the key to performance. You think I am being soppy and naive? Here is William Manchester describing his feelings as he returns to Iwo Jima where he as a young marine had landed in what was to become the Corps epochal experience. "And then, in one of those great thundering jolts in which a man's real motives are revealed to him in an electrifying vision, I understood at last, why I had jumped hospital 35 years ago and, in violation of orders, returned to the front line and almost certain death. It was an act of love. Those men on the line were my family and my home. They were closer to me than I can say, closer than my friends had been or ever would be. They had never let me down and I couldn't do it to them. I had to be with them, rather than let them die and me live with the knowledge that I might have survived them. When we hear of teams and loyalty in the work place, they are pallid memories of what is possible. What is becoming clear to me is that the key to the high performing model is to connect the social potential of the Trusted Space to Leadership that is intensely personal and capable and to put it all into a social container that fits magic numbers. Let's look a bit more deeply at the leader role now. This is not about "we are all leaders" in our hearts we know that this is just bull. In a true high performance organization - power is highly decentralized but not to every person but instead to the key nodes. In the Legion this is the Centurion, in the Royal navy of the peak time, it is the Ship's Captain. The life of an officer in the Royal Navy of this time was much like the life of a Centurion. In a time of extreme patronage, the Navy depended on a Darwinian selection process. Command was a merit issue - it had to be. To become a captain, you had to be a master mariner, a master of leading men and a master war fighter. You learned in the full glare of the crew and of your peers. It was a small world and your reputation was your greatest asset. Leadership was public and it was personal - no hiding in the corner office! If you as a Lieutenant won the trust of your captain, you would move with him. When got your first ship, you would then come to the attention of the Admiralty. The Centurion and the Royal Navy Officer had to master an extremely complex range of skills. Mastery had to be so total that they make the best call in a moment. There would be no time for thought. Mastering the role of command in the age of sail was so challenging that it could only be learned firsthand. Yes there were exams - the Lieutenant exam being the doorway to the ladder - but only experience could enable the captain to handle the complexity of leading a frigate. The job was so challenging that you had to start to learn it as a boy. When you watch Master and Commander, you note that the ship is full of boys. These are not the the surly hoodies of our time but young men. We have banished our boys to a zero world. No wonder they join gangs or act out. Challenge is the food that these boys are fed. But also they know that they are loved. In high performing human organizations, young men are activated into becoming adults. There is a deliberate connection made between the mature and the adolescent. The young learn command from experiencing it. I could go on and on but this is already too long for a post. So onto my next example. Years ago I won in a raffle dinner for 4 at Fire Station Number 1 in Toronto with the crew and the Deputy Chief. As I heard the chief speak, I knew that all my ideas about how an organization should be organized were wrong. I was an investment banker then. We knew all about motivating performance - it was all about pay! We knew all about leadership, they all went to graduate school. We knew all about teams - they were held together by money. Teamwork is everything. 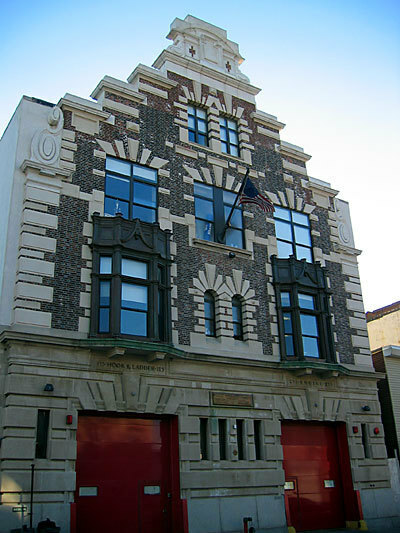 Whether it is sharing routine tasks at the fire station or providing fire fighting services at an emergency scene. 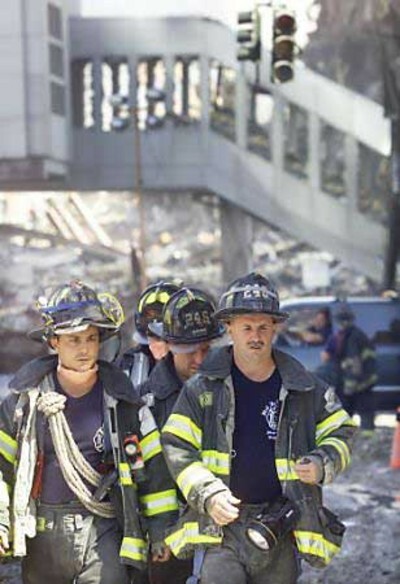 Firefighters depend on each other to successfully perform their duties. Like the sail Royal Navy or the Legion, every firefighter joins at the bottom. The road to command can only be taken as a consequence of selection and experience. After 8 years, a firefighter can elect to shift to the command track. He or she can now take the Captain's exams. Often friends who elect to stay firefighters will act as coaches. If you pass - like the Lieutenant's exam in the age of sail - you are on the ladder but as also in the Navy or the Legion (The Optio) you have to wait for an opening and the confidence of the senior command. As with both the Navy and the Legion - there can be no hiding. You have it or you don't and all know. As a captain you command a truck. After a period of years as a successful Captain, you can take your chief's exam. Again, some Captains choose not to. There is no dishonor in not going up. if you pass your chief's exams you again wait for a place and for the confidence of the Senior chiefs. Then you command a station - there is a hierarchy here too just as in the Legion or the Navy. Head office is administrative. Firefighters use doctrine again to guide them in action. This is how many stations can come together in a major fire and all know what to do. This is how a firefighter from another country can be seconded and fit in. In a fire, you have to know that you can rely on your mates. This is why you live together on duty. You don't just hang out, you live together. Meals are cooked, the place is cleaned. Training is largely practical. Again in a fire there is no time to think. You have to make the best call instantly - only masses of experience can give you that edge. Nothing must get in the way of the team. So pay is all linked to personal expertise and to time. All the social/work numbers are well within the Magic Numbers. if very large numbers are required, they are created by scaling the magic number units - the number of bells = the scale. Overall the pay is not that high. Yet the brigade has no trouble in recruiting. It is not pay that brings people in or keeps them. It is the experience of being with people that you love and doing great work that is difficult and dangerous. I feel satisfied that I am seeing replication and hence that this model for high performing human organizations is the post kinship tribe that any human can use.